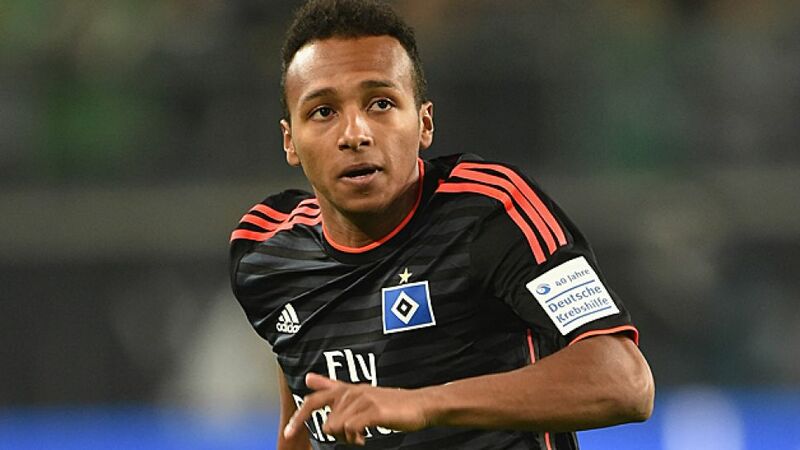 Cologne/Hamburg - The past few months have provided a considerable learning curve for Julian Green. After breaking into the FC Bayern München first-team squad last season, the Florida-born forward hit unexpected heights at the 2014 FIFA World Cup in Brazil, netting a spectacular extra-time goal for the USA in their second round clash with Belgium. bundesliga.com: Julian Green, the last time we spoke was at Heathrow airport in London - I recognised you straight away… does that happen a lot now that you’re a World Cup goalscorer? Julian Green: [Laughs] Yeah most of the time! I’d just visited London with my girlfriend and was on my way back to Hamburg. bundesliga.com: After that you spent ten days in Dubai as part of Hamburg’s winter training camp. How did that go? Green: It was really good. The conditions were perfect. The weather was very hot every day - except for one day when it rained - but we worked hard, with two or three training sessions per day for the most part. The whole team put the effort in and so did I, so we were pleased with how it went. bundesliga.com: Things haven’t gone exactly to plan for Hamburg in the Bundesliga so far this season. Did you focus on improving anything in particular at the training camp? Green: We did a lot of work every day, both defensively and on our attack. Probably a bit more on attack because we only scored nine goals in the first half of the season and that isn’t good enough. Otherwise we did the usual - plenty of tactics - all with our number one target of Bundesliga survival in mind. bundesliga.com: You proved you were capable of scoring goals in Bayern’s reserve team - you got 15 in 23 last season. Could you provide the solution for Hamburg up front? Green: I hope so [laughs]. It’s up to the coach. All I can do is keep working hard on my game every day and try to prove myself. That’s what I’ve been doing and I’m sure that if I’m given a chance, I’ll be able to help the team. Green: There’s a lot of tradition here at Hamburg and when you say the club’s name, everybody knows who you’re talking about. That was a big reason for me coming here. I think it’s important as a young player to gain experience and, although I haven’t played much so far, it’s important for my development to see how another club functions, to work with other players and coaches. It’ll all help me in the future. bundesliga.com: Survival is the named target at Hamburg for the season - do you have any personal goals for the Rückrunde as well? Green: Obviously I’d like to play more. I’m working hard on that and training as much as I can. I’m sure I could help the team - that’s always been my mentality and I’m very confident in my own ability. I’m just working hard every day and ultimately the coach will decide what happens. I just have to do my bit. bundesliga.com: Of course there’s plenty of competition for places in attack at Hamburg. What are the qualities you personally can bring to the side? Green: I’m a striker, so I can score goals - even if I haven’t really been able to show that here yet due to not playing as often. I have to show it in training and that’s what I’ve been doing. I’ve kept a close eye on my development, staying behind to do extra work in training, practising my shooting and so on, working on my strengths and weaknesses. bundesliga.com: Longer-term, what are you ambitions with FC Bayern? Green: Longer-term my goal has always been to play for FC Bayern and that remains the case. I haven’t played much here [at Hamburg], but that hasn’t affected my confidence. I have one goal in mind and that’s to play in the Bundesliga and in the best-case scenario that would be for Bayern München. I’m working towards that and, wherever I go in the meantime, that’ll always be the target. bundesliga.com: Have you had much contact with Pep Guardiola and Bayern while you’ve been out on loan? Green: Not during this loan spell, no. I haven’t spoken to anyone throughout the first half of the season, I’ve just been fully focused on Hamburg and in the summer we’ll see what happens next. bundesliga.com: On to the US men’s national team. There are a fair few German-Americans in the squad. Do you notice a Bundesliga influence in terms of the way the team plays? Green: Yes, we do have a lot of German-Americans in the team and it’s nice for me personally, but I think it’s important that it isn’t just us guys who play well together and get on with one another. We’re a team, together with all the guys from the MLS, and it’s important that we all achieve things together. bundesliga.com: Are you allowed to speak German in the changing room? Or does it have to be English? Or even American-English specifically? Green: [Laughs] Well the coach [Jürgen Klinsmann] would prefer it if we spoke English as much as possible, but I have to admit that we do slip into German sometimes! Green: Basically it was the discussions I had with Jürgen Klinsmann. He gave me the feeling right from the start that it was the right move. They were good talks and I was convinced straight away. Ultimately I made the decision with my family and friends and I think it was the right one. It’s not like it was a decision against Germany - I had a good chat with [former Germany assistant coach] Hansi Flick too - but in the end I went for the USA. bundesliga.com: Have you been pleased with the way your career has developed since the World Cup? Green: Obviously the World Cup has been the highlight of my young career so far and since then I’ve been at Hamburg. It’s like two different worlds. After my goal at the World Cup the hype was pretty intense and now I’m here, not playing all that often. But that’s football and I’m not letting it affect me. I’m just getting on with it. bundesliga.com: So where do you see yourself in a year’s time? Green: That’s difficult to say. I’m not looking that far ahead, to be honest. A lot can happen in a year, so I can’t really say where I see myself. First of all I want to play in the Rückrunde - we’ll have to chat again in a year’s time! bundesliga.com: Consider it a date!